As far as modern-day hen parties go, vintage themes have been soaring in popularity over the last handful of years. And rightly so - when done properly, a vintage hen party can be an utter delight! Vintage doesn’t just mean one set theme of doilies and tea dresses - anything between 1910 and 2000 can be considered vintage, anything before 1910 is considered antique, and anything post-2000 counts as modern. A little language lesson for you all! You can base your outfits, food, activities, party favours and pretty much everything else on your theme. This makes the whole ordeal of planning both easier and more enjoyable - who doesn’t love coordinating? So now that you have the low-down on the trendiest hen party plan around, it’s time to dive into some ideas. The world really is your oyster here, darlings - you’ve got almost an entire century to choose from. There’s a style to suit every hen. 1920s fabulous flapper, 1940s Rosie The Riveter, 1990s grunge groupie and everything in between is fair game. Movies based in eras can also make good themes - The Great Gatsby, Breakfast At Tiffany’s and Grease are all excellent ideas. If decades aren’t general enough for you, why not try a theme like old-school Hollywood? Zeroing in on one set theme makes the rest of your party planning much less effort - a theme pretty much color-coordinates itself, and props and trinkets can be easily found online for pretty much any party theme. If you're still unsure on what to do for your theme, have a look at this fab video portraying defining aspects of women's fashion over the last 10 decades. Food for vintage parties is always fun, quirky and eye-catching. Cupcakes, cocktails and champagne are all on the menu for any decent party, never mind a hen party! Pair your 1920s theme with some champagne in classic glasses, throwing back to the Prohibition Era when the forbidden bubbles tasted so much naughtier. Served with some lemon cakes and millionaire’s shortbread, the girls will feel like they're in Gatsby's mansion. If you’ve chosen a 1950s theme, why not serve diner-style mini-burgers and fries with some grown-up frosty milkshakes like these ones? Mason jars are also all the rage lately, and tie in perfectly with a vintage party. Serve some retro cocktails in pretty jars, poured from vintage glass pitchers, et voila - rustic and refreshing! Vintage decor is a topic that’s been explored in countless blog posts and Pinterest boards. For a general vintage theme, upcycling old teapots, vases, jars and milk bottles are all on-trend. Fill some teapots with flowers for centerpieces or serve cocktails from milk bottles with striped paper straws if you’re looking for that extra sparkle. 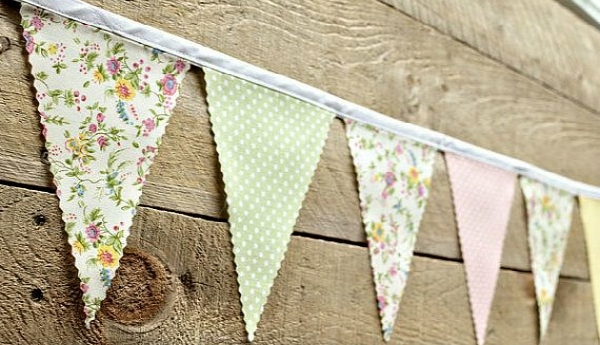 Bunting is something that rarely makes an appearance in modern-day parties, but it’s definitely making a comeback. Garlands of flags in pretty floral patterns, antique-looking signs spelling out sweet sentiments, it’s all coming back into popularity, and no wonder - it's such a pretty look. As far as themed vintage parties are concerned, finding or DIYing decorations specific to your decade/theme will be simple. Sites such as Pinterest, Etsy and even Amazon have more than enough choice for any aspiring vintage hen party planners. Vintage hen party invitations are an adorable way to ask your hens to come to your soiree. If you have an eye for design, you can use a design site to build your very own unique invites. Try eBay, Amazon and other wholesale websites for pre-printed designs, or use a graphic design site like Canva to make your own for that personal touch. Again, physical invitations aren’t something people do any more, with the exception of weddings, so actually being handed/posted an invite will definitely give your vintage hen party that extra touch of old-world class. What can one actually do at a vintage hen party, I hear you cry? Well, the answer: quite a bit actually! Photo-shoots are wildly popular amongst vintage hen parties, and in fact a company in Dublin has set up shop especially for them. Cake decorating and cookery classes are also available across Ireland for anyone channeling their inner 50s housewife. A Downton Abbey Experience exists in Westmeath, for anyone with a fondness for the 1910s and 20s. For anyone who’s chosen a 1980s theme, book yourselves into a nail bar like Tropical Popical (Saoirse Ronan's fave nail salon! )and get some stunnin’ neon nails done while you swill some cocktails. credit: image 1&3 @chloegnails, image 2 @jennyyuk﻿﻿﻿sanwong, Tropical Popical Nail Bar. If you’re staying in, organise a movie-night with movies from the era you’re channelling, or pick out a playlist from the decade and break out the microphone-brushes! Henit have a huge selection of hen party activities to choose from, and we’re sure there’s something in there to suit your vintage hen party. Are party favours a thing anymore? We certainly haven’t seen them being handed out in a long while… Perfect for a vintage hen party then! Personalised champagne bottles, mini-sewing kits, lipsticks to match the era, nail polishes, sunglasses, whatever your heart’s desire is - pop it into a little party bag and hand them out to your ladies to thank them for attending. If you were following a 1960s theme, some chunky earrings, light lipsticks and pastel polishes would make excellent favours. Scrunchies and eyeliner would suit a 90s theme perfectly. They’re adorable, and everyone will leave with a keepsake to cherish from the weekend. Now that you’ve got all your bits together, it’s time to get to work girlies. That vintage hen party won’t throw itself!